Goulart to move to China? Rio de Janeiro, Jan 13 (IANS) Cruzeiro have given permission for Brazil forward Ricardo Goulart to negotiate a move to China's Guangzhou Evergrande or Shandong Luneng. Goulart and Cruzeiro president Gilvan de Pinho Tavares are said to be in talks with officials from both Chinese clubs, local media said Monday, reports Xinhua. Football news portal Lancenet said a verbal agreement had already been reached with only paperwork remaining for the transfer to be confirmed. It is understood Evergrande football director Marcello Lippi was impressed by Goulart during a scouting mission to Brazil last month. Shandong Luneng's Brazilian coach Cuca knows the 23-year-old from his time in charge of Cruzeiro's rivals Atletico Mineiro from 2011 to 2013. 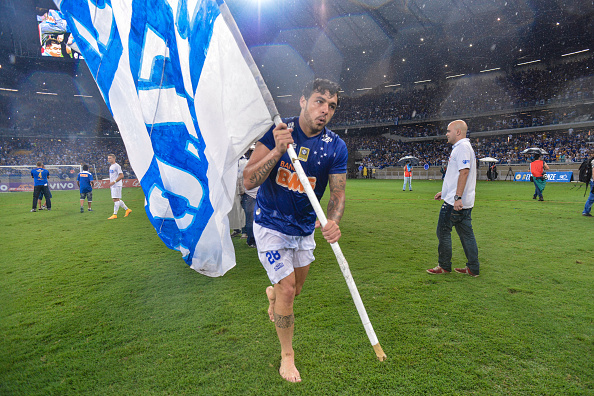 Goulart has scored 38 goals from 105 matches for Cruzeiro and played a key role in the team's 2013 and 2014 Brazilian Serie A title victories. He was rewarded by national coach Dunga with an international call up for Brazil's friendlies against Colombia and Ecuador in September. Copa America 2019 preparations - Where will the South American National Teams head this week?